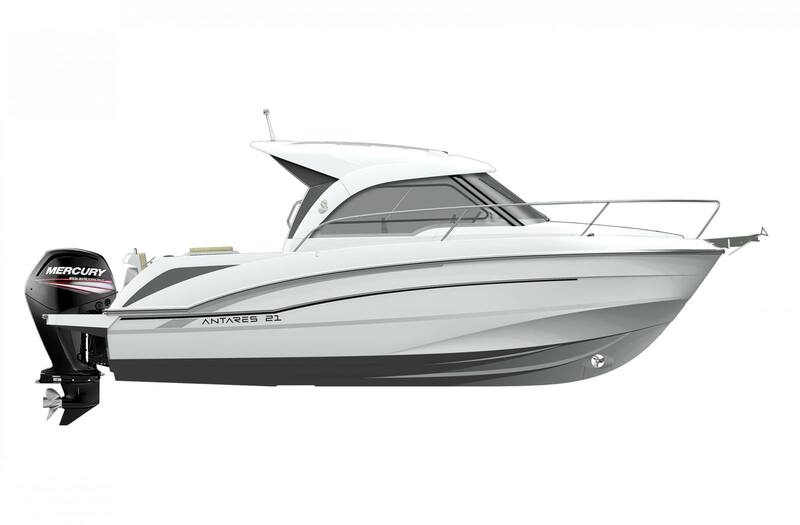 Exterior Design: The Antares 21’s innovative flared-hull boasts safety and outstanding seakeeping, offering wonderful driving sensations. 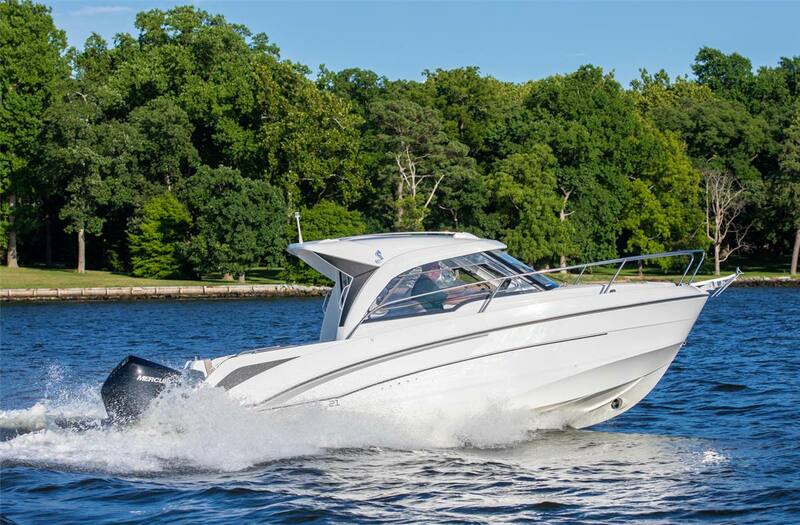 This outboard motorboat has a very elegant silhouette, thanks to her cap’s powerful V profile. 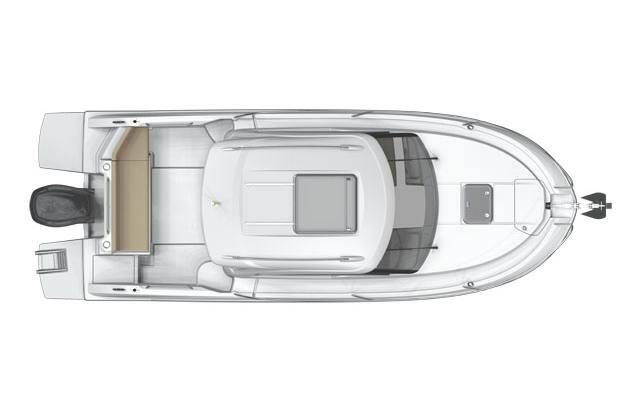 Simple and safe, an aft platform with a removable ladder provides access to the sea. This is closed off by a small gate when the boat is underway. Interior Design: The wheelhouse is surrounded by windows and has a 360° view of the sea. A sliding glass hatch on the roof bathes the interior in natural light, which considerably increases the feeling of space. 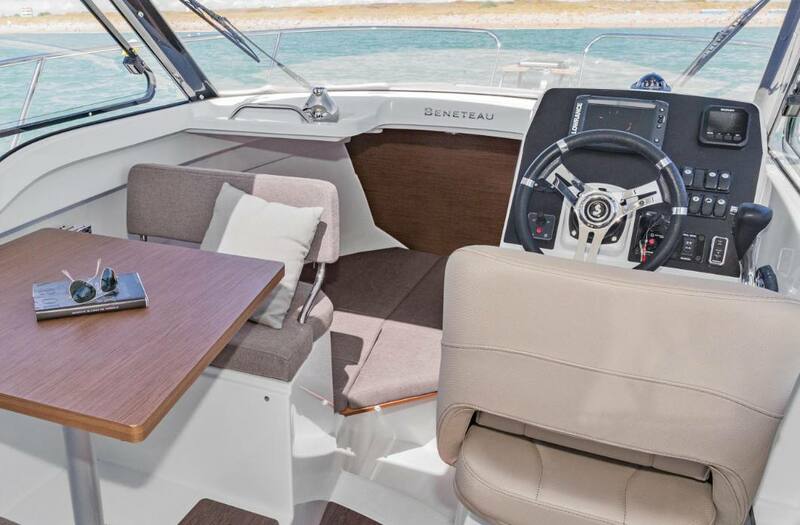 The walnut woodwork and upholstery colour contribute to making the Antares 21 contemporary yet timelessly stylish. 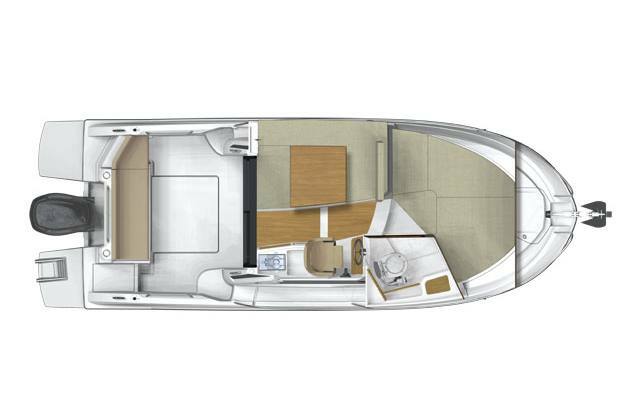 Short Cruises Made Easy: The Antares 21 is very agile at sea and has lots of clever details. In a nutshell, she is a combination of cruising pleasure and conviviality. 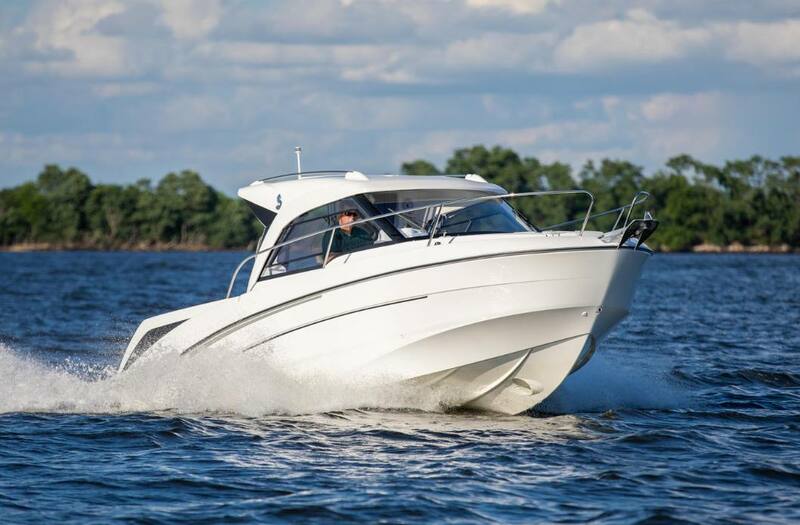 Powered by a 175 HP outboard engine, this motor cruiser offers a wide choice of programmes for just one day or several. 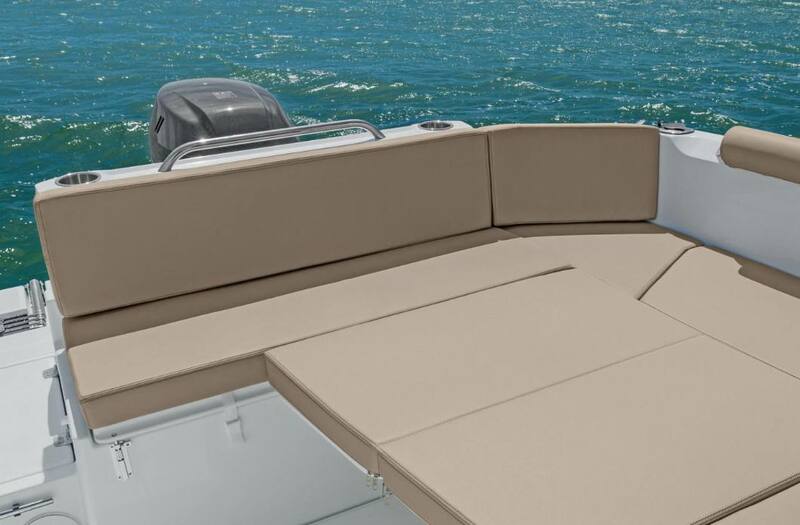 Transportable: It is easy to organize a day outing off the top of your head with the Antares 21. With a length of 24'6'' and beam of 8'4'', she can be transported by road. 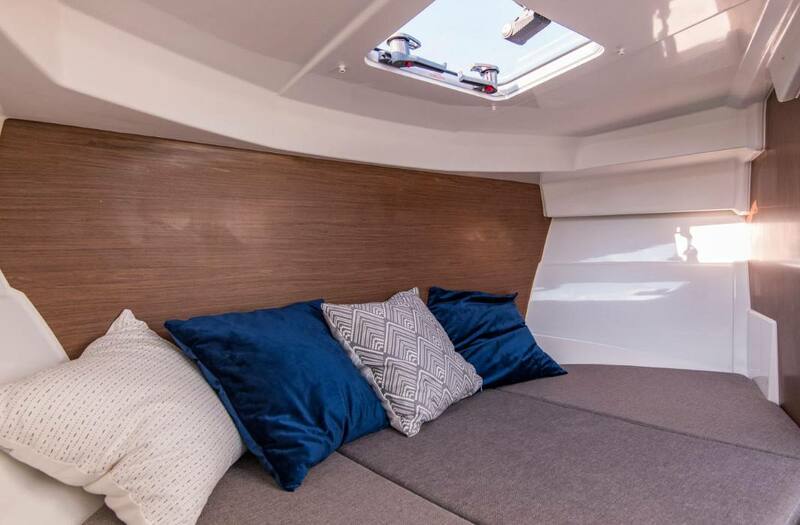 Modular: The modular bench seat creates an additional double berth, so you can welcome 4 people on board the Antares 21 for an overnight trip. 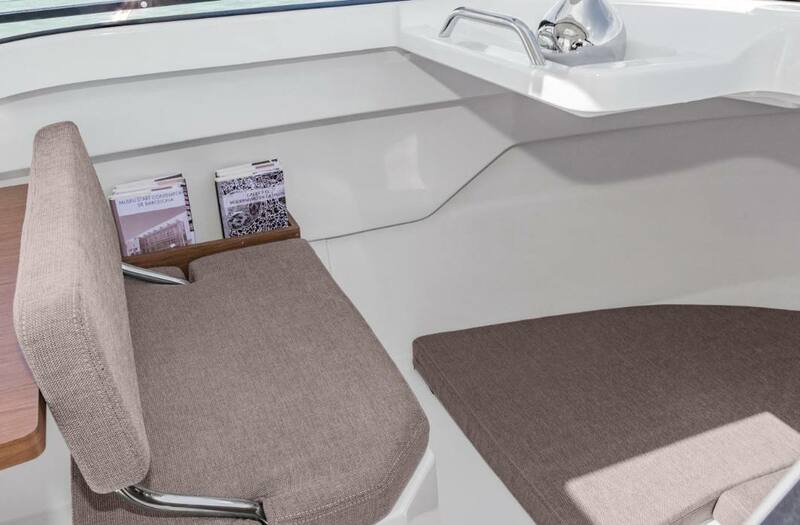 Suiting all tastes and situations, the cockpit’s aft bench unfolds into a large sunbathing area. 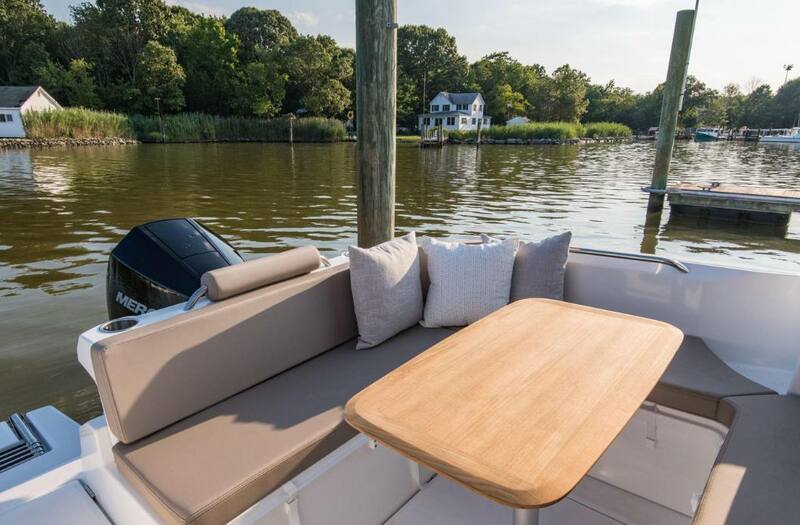 Equipment: The Antares 21 has an amazing level of equipment for a boat of its category: lots of storage, small fitted galley area. Electric windlass available on option to make dropping anchor easier. Length Over All: 24 ft. 6 in. Hull Length: 21 ft. 3 in. Hull Beam: 8 ft. 2 in. Fuel Tank Capacity: 45 US gal. Fresh Water Capacity: 13 US gal.